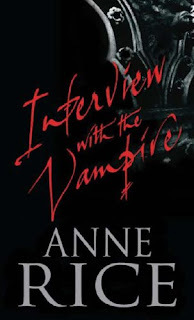 Interview with the Vampire has been sitting on my shelf for probably around a decade unfinished, as I found myself time and again getting around two thirds of the way through it, only to leave the final part untouched, despite the fact that at no point was I not enjoying. This time though, I decided that it wouldn't defeat me. Interview with the Vampire follows an interview between Louis, a vampire from the 18th century, and a human journalist who finds himself fascinated by the story that his subject unfolds for him. Louis tells the story of his life, from his brief years as a human plantation owner, through to his interminable centuries as a creature of the night and the few companions that he meets over the years. In terms of story and pacing, I have little with which to fault this book. Although at times Louis' narration can seem flowery, it fits with the tone of the book, which is pretty much melodrama with more than a hint of melancholy. The characters don't necessarily act or react in ways that are particularly human-like, but then the reason for that becomes increasingly obvious as the narrative goes on, and it really does work: they are not really likeable individuals, but they are fascinating nonetheless. And in combination these characters act in ways that are intensely unhealthy and uncomfortable to read about, but somehow you still don't want them to split away from one another. Really, while I enjoyed each element of the book both in isolation and as a whole, I think I know the reason why I couldn't finish it until now. While the tone is more or less dispassionate, there is still an emotional intensity that I found difficult to stomach at times. There is much made of the vampire race's propensity for detachment, but what that leads to is greater and greater extremes of cruelty and decisive action, made to seem normal by Louis' unusual perspective. All very interesting to read about, but when I had turned the final page, I felt utterly exhausted by the whole endeavour. 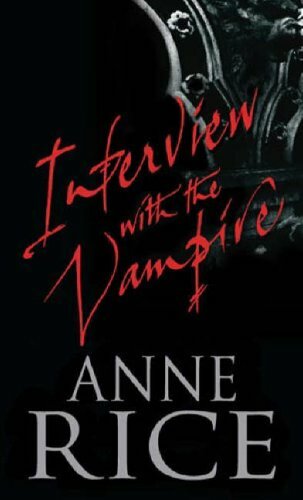 Perhaps that's just me, but there are few books that have left me as drained as Interview with the Vampire did. And I think I would be interested in reading more of Anne Rice's work, though maybe not right now. Give me some time to rest and all.